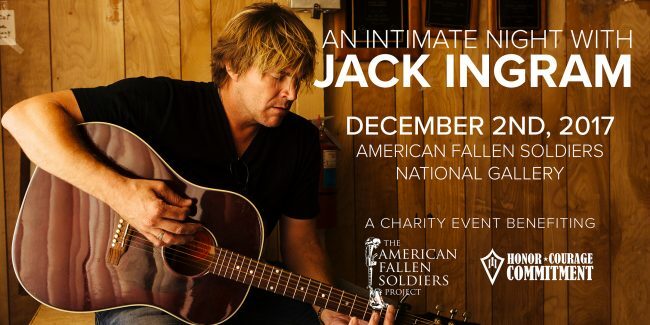 Join us for an intimate night of live entertainment, delicious hors d’oeuvres and premium bar in a private concert with country music star, Jack Ingram at the American Fallen Soldiers National Gallery. Due to the intimate size of the venue, tickets are extremley limited. We encourage you to purchase your tickets now so that you do not miss the opportunity to enjoy this private concert.